Digihome DIG32132LEDHD TV review - this 32-inch HD ready LED TV is currently offered at eBay for less than £200. 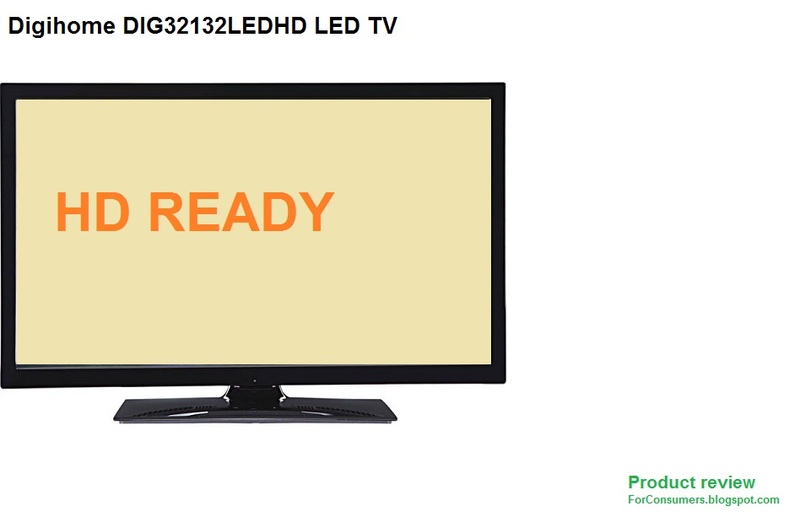 The DIG32132LEDHD LED TV doesn't offer any cutting edge technology but will save you some money in case you are not too picky about the TV you are going to buy. Digihome DIG32132LEDHD is a 32-inch HD ready LED TV with with integrated Freeview. The refrash rate of this TV is just 50Hz and the resolution is 1366x768. Digihome DIG32132LEDHD has 1x HDMI and 1x USB ports for connection. You can also check the Digihome 40912DTV review.